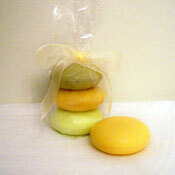 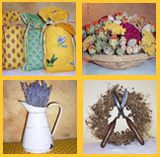 Dried French lavender is arranged in a 3 inch terra cotta pot and tied with a wired ribbon. 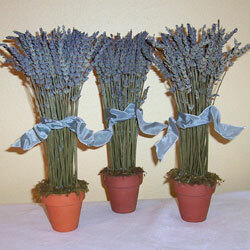 The lavender pots stand about 15 inches tall. 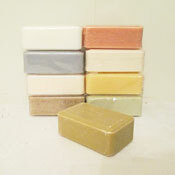 Although they can be used in any room, they are perfect for the bathroom where the heat and moisture will release the lavender oils to scent the room.